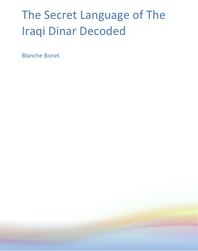 If you've been paying attention to the dinar for a while you will want to read this...If you are NEW to the Iraqi Dinar you DEFINITELY want to read this! You invested in the Iraqi Dinar for a reason...if you're like me and the THOUSANDS of others in the Dinar Guru community, your dream is to one day wake up and learn your little stack of nearly worthless funny money is worth hundreds of thousands...maybe even millions of dollars! You feel your heart beating faster and faster as you hear the Iraqi Dinar has RVd...total disbelief washes over you...your heart drops...it FINALLY happened...!! Boy do I dream about that day! If you are like the hundreds of people who send me emails EVERYDAY, you may have reached the point where you have questions about your investment. Where do I cash in my dinars once it RVs? Why hasn't this RVed yet? What is HCL...is this the hold up? What is LOP...that doesn't sound too good? Why do the gurus disagree so much? What does "lift the zeros mean"...and how does it affect me? Of course EVERYONE wants to know the DATE and the RATE...but you're a little different. You have real questions...you want SUBSTANCE about what's going on. Before I get into all that, you're probably wondering who I am. Actually, I'm just a regular person just like you, really. Maybe you're even going through interesting time too? In 2005, little Miss Hurricane Katrina paid my family a very UN-WELCOMED visit. She huffed and puffed and destroyed my husbands 23 year old business, flooded our house, the whole neighborhood and the entire community. Totally wiped out just like that...(snap). All these years later (over 6 now), we are back on our feet (well, for the most part). We're still walking on concrete floors and still sitting in lawn furniture but we have a roof over our heads, a bed to sleep on AND we recently found a SUPER FANTASTIC unbelievable deal on kitchen cabinets...my husband is SLOWLY installing the tiles now. We were introduced to the dinar about 2 years ago...after we saved up a little bit we jumped on the Dinar merry-go-round. At the time I was in a major FUNK...depressed really. The dinar was a welcome distraction. Soon we realized we were on the RV roller coaster ride of our life. We got pulled into the "RV is happening this weekend" excitement....the highs were EXCITING (exactly what I needed) but the lows were devastating. Money was so tight but our emotions got the better of us...we lost so much (a TON for us, probably a little to nothing for most) playing the dinar on reserve/layaway game. We needed (and need) that money sooo desperately. But we had dreams of helping so many. I joined all the boards, followed all the forums...listened to the conference calls religiously! I became the de facto dinar reporter for the family! My kids actually looked to me for the latest information. I was secretly soooo happy to do it! The more I learned about what was REALLY going on...the better I felt and the more secure I felt about where I stood in this whole investment. Long story short...After a while, I created a system to gather all the information the gurus were saying on the different sites into one spot...I shared it will my family and a few friends and they LOVED it! My son secretly created this little website for me and the family...word somehow got out and they loved it too...I reluctantly decided to keep it going and eventually it became the site you are on now... Dinar Guru. This brings us back to the deep burning questions you have about the dinar. I get emails all the time now from investors wanting to KNOW about this or that...hundreds and hundreds actually. I saw a pattern in what people ask. What I discovered is the community struggles with similar things that I struggled with...I get the same questions over and over again. At first I was like…I can’t answer these questions…who am I? I’m just a regular person. Then I realized I have the largest collection of guru predictions and dinar information at my fingertips!
" I read your statements last night about how you began your dinar adventure... and I like the part where you mention the "Emotional Part"... If I may ask you a question, plain and simple, bluntly ... How do you stay detached from all this...? I guess what I'm saying is I believe ... We all want this So so so bad... where it is to help aid in everyone's number one financial problems, if just to ease it some what... We read daily all the latest...and were emotional beings as well, so we can't help but get caught up in all this... so again what do you do to stay sane as well as to detach and not get so involved??? This email reminds me of one of the main reasons I created the Dinar Guru system in the first place...I couldn't take the emotional RV roller coaster ride anymore. I've been in this investment for a LONG time now...you can say I've been around the "It's Done"/ "RV Today" block MANY times before. In this very special report I pull together for you is the top burning questions the community has about the dinar. Our community is so PASSIONATE and so SAVVY...I selected the ones that would relieve the most ANXIETY, CONFUSION & HEART ACHE and at the same time give you the exact Knowledge you need to make the best decisions for you and your family. I said this is a report..but its more like a conversation really. Very easy to read. I'm not a very technical person...I like things simple and straight forward. Here's what this Special Report will do for you. You won't be lost in the dark anymore. Just think of all the hours you put into researching up to the minute news about your dinars...and you still don't feel confident about what's REALLY going on. It's not your fault...we were not born with this information. When you read what's inside this report you'll have a deeper understanding of your investment and have a much more satisfying and enjoyable experience. As a result, your friends, family and coworkers will look at you in a whole new light. You will have an advantage over other investors…you’ll have the knowledge to make decisions based on logic and ration rather than heated emotion. You will not feel like you are in the dark anymore. If you fail to learn the info contained in this report you are likely to fall victim of the emotional roller coaster ride many dinar speculators fall into. Your family and friends will likely continue to doubt your decision to invest in the dinar and you’re likely to make poor and foolish decisions in the future. 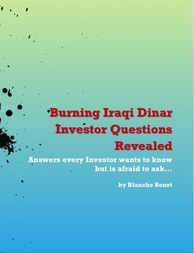 To get the complete special report "Top Burning Iraqi Dinar Investor Questions Revealed" for only $47.... simply hit the Add To Shopping Cart button below and enter you information...easy. You'll get your report right away. Imagine having your biggest question answered and delivered right to you...Being part of a community of the sharpest investors...You'd have your sanity back! Your husband or wife and kids would love that, you'd love that wouldn't you? As I write this I did a little math (dangerous I know! :) and I realized if you read the report over the coarse of the next month...you essentially get this entire Special Report for less than $1.57 a day! Thats kind of like hiring my Iraqi Dinar mega brain for "sweat shop wages". Ever wonder what those three letter abbreviations the gurus use mean? How about those pesky weird sounding Iraqi names we hear so much about...who are they?...what do they do? What do they have to do with the RV? This free bonus goes in depth on the scenario of why the dinar won't lop and says it in easy to understand terms...It even compares Iraq's situation now with another country's situation when they RVed...Here's a hint: many negative people refer to this country's LOP and say the same thing is going to happen in Iraq. The value of these bonuses is about $97.00 by themselves...not to mention all the time, frustration and hassle they are going to save you. You'll have a whole new grasp and understanding of the Iraqi Dinar after reading this....I know I did. This special report is NOT for everyone...if you are a date and rate junkie and don't want to know much beyond that, this is NOT for you. if you are a jaded super negative person...this is NOT for you. If you are the type of person who likes to put your head in the sand and disregard the real world around you...this is NOT for you. This special report IS for you...if you are the type of investor who has REAL questions who wants REAL answers or if you are the person people look up to for answers. This is for people who want balance in their life and who like things simple to understand. Now, you have a choice, you can continue to do things the way you do them now...or you can get the Special Report and the 2 free bonuses delivered right to you and make your investment so much more fun, exciting and rewarding. You can sit back and relax and let the RV come to you. Oh, one more thing...As you know, I stand behind everything I do...If you don't like this for any reason and feel this is not for you simply let me know. (blanchebonet@gmail.com). I'll return your money no questions asked...100% guaranteed. PayPal makes this super Easy. Keep all the bonuses as my gift for trying out the special report and we'll part as friends...no biggie. You really have nothing to loose and everything to gain. Here's What To Do Now. 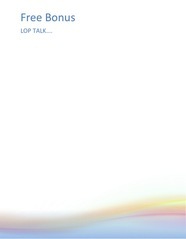 After you click the button go ahead and enter your Paypal information...you'll get instant access to All Three of Your Reports--the Full Q and A Special Report, The Secret Language of The Dinar Free Bonus 1 and LOP talk Free Bonus 2! Go ahead and click the link below to discover what all the fuss is about and get started now. Yes! I'd love to get the Burning Iraqi Dinar Questions Revealed special report for just $47. I understand this is 100% GUARANTEED and I can ask for my money back at anytime and keep all the bonuses for FREE!! IMPORTANT- Buy Instructions...easy as 1, 2, 3! ©Copyright 2011, Dinar Guru, All Rights Reserved. All emails and correspondence sent to Dinar Guru become the exclusive property of Dinar Guru. By reading this, you agree to all of the following: You understand this to be an expression of opinions and entertainment and not professional advice. You are solely responsible for the use of any content and hold Dinar Guru and all members and affiliates harmless in any event or claim.